Extending either side of the river Thames in South West London, from Hampton Court in the west to Hammersmith in the east, Richmond is unique among the boroughs of London. Boasting over 5,000 acres of open spaces, including the Royal parks of Richmond and Bushy, and 20 miles of picturesque riverside, Richmond is among the most attractive of London’s boroughs. With its rail and bus links to central London, its shops, bars & restaurants, and its rich cultural heritage dating back centuries, Richmond truly is the place to be, whether it’s to live, work, or simply to visit. The London Borough of Richmond is dominated by its numerous parks and gardens but there are also several major towns in the area including Hampton, Richmond, Teddington and Twickenham, the world famous home of England rugby. 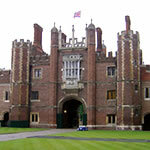 Hampton’s location near the River Thames and Bushy Park have made it a popular residential area for many years. The town is also very close to the major shopping area of Kingston on the southern bank of the river. The name Hampton is often associated with the magnificent palace of Cardinal Wolesey, and later Henry VIII, at nearby Hampton Court. In more modern times, Hampton is home to the borough’s only senior level football team while also boasting an outdoor swimming pool for those looking to swim in the open air, without catching cold. The schools of the Hampton area are known for their excellence in both the academic and sporting arenas. Richmond is the principal town of the borough and has been an important centre for centuries. As a home to royalty in the fifteenth and sixteenth centuries Richmond became a fashionable place to live and this trend very much continues to this day. With Richmond Park to the east and south, Old Deer Park to the north and the riverside terraced gardens to the west, it is easy to understand the attraction. The town boasts numerous boutiques and high-street stores, and also a wealth of cafés, bars & a variety of restaurants catering to almost any taste. Richmond also offers a considerable amount through its museums, galleries and theatres. There are also three cinemas in the town showing main stream as well as independent and off beat films. 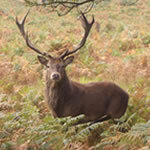 Richmond Park is the largest of London’s Royal parks, covering nearly 2,400 acres. The park was originally created as a hunting park by Charles I who had set up court in Richmond to avoid the plague in London. Much of the park’s beauty is in its varied landscape of grassland, areas of bog and bracken, wetland, woodland and ancient parkland. Added to this are the over 600 deer who freely roam the park and add much to the scenery. The park provides for a variety of activities such as walking, cycling and riding. 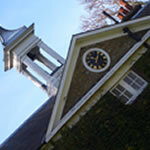 There are also two eighteen hole golf courses, the Dukes course and the Princes course, at Richmond Park golf club which is found just inside the park’s Roehampton gate. Up-river of both Richmond & Twickenham is the town of Teddington. While mainly residential, Teddington boasts the longest lock on the river Thames and marks the tidal limit of that river though the town’s name does not derive from the term ‘Tide’s End Town.’ The town is home to Teddington Studios and also Bushy Park which is the second largest Royal Park in London behind the nearby Richmond Park. Like its neighbour the park is home to several herds of deer. For many, the name of Twickenham is synonymous with the sport of rugby. The impressive Twickenham stadium is the headquarters of the Rugby Football Union (RFU) and home of the England team. It has played host to almost a hundred years of internationals. There are also many concerts at Twickenham stadium with The Rolling Stones, The Police and The Eagles all playing there in recent years. It is perhaps due to the stadium’s proximity, and the large crowds that are involved, that the town has such a disproportionately large number of pubs and restaurants. The stadium is however only part of Twickenham life with the tranquil riverside, secluded York House gardens and nearby Marble Hill Park providing a very different, more relaxing environment. Not far from the town centre, to the west, is the attractive Twickenham Green with a number of eateries and watering holes surrounding it. The Green often plays hosts to games of cricket and rugby. This entry was posted in Uncategorized and tagged cricket, Hampton, London, Richmond, Richmond Park, river Thames, rugby, sports, stadium, Teddington, Twickenham on March 13, 2013 by admin.